How did you spend your Christmas holidays? How did you make the best use of time spent with family and friends? In addition to the delectable, rich, scrumptious food that was everywhere, there was a lot of laughter in the air at mine. Gathering family together is important to me. I love to entertain with dinners and such, so, I started making plans weeks ago, inviting everyone. I don’t know about your family, but so many families are blended, and my family happens to be one of them. I have learned from experiencing past holiday get-togethers that acceptance plays a huge factor when all of my family may not be available. So, I roll with what is. The Christmas Eve service was very beautiful and intimate. Given the close quarters, prayers were that everyone had chosen to put on deodorant, Lol. There was enough room in our row for six, so the others had to find seating elsewhere. After the service, you would have thought everyone hadn’t eaten in a week. ALL nine of us were in my quaint kitchen as I’m trying to put the finishing touches on everything so my starving family could eat. Food was served and bellies were filled, the kids opened gifts from me and then the games began. The games included everyone, ages 8-61. The first game was the traditional “white elephant” game. 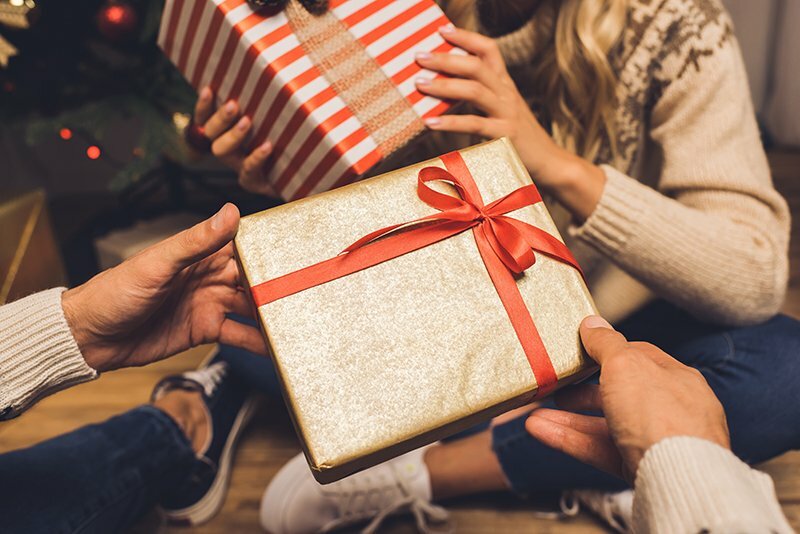 Everyone wraps a gift to exchange – something that they no longer want. Some very interesting items were opened and only one stolen (stealing is part of the game.) Another game required a little creative thinking, acting and lots of guessing. Laughter rang from the living room from the onset to the end of the games. The kind of laughter that brings tears to your eyes because you’re laughing so hard. As the evening wound down, one-by-one, hugs were given by all. This Christmas Eve was a night to remember as most of my family was able to gather, celebrating the gift of Jesus and time with each other. Fun and laughter are a necessity in life, especially during the unexpected. Let your hearts rise and experience fun and laughter. You may recognize that it was just what the doctor ordered. I have found that the old saying, “Laughter is the best medicine,” is quite true. I pray your holidays radiated with love and laughter. Check your laughter gage from time to time and notice how many times a day you experience laughter. At the end of the day I passed out with a smile on my face and love in my heart.